One of the benefits of being based in San Diego is that we’re a vacation destination. Every so often we have a chance to meet other developers in our space. This past Friday, Joost de Valk spent some time with us in San Diego in between his California vacation which included San Francisco, Yosemite, Sequoia National Park, Disneyland, Legoland, and Hollywood. But he also chatted about WordPress, Plugins, data collection, and more. We and ServerPress, LLC were excited to host Joost de Valk at our local Advanced WordPress Meetup at Downtown Works. If you’re a member of our AWP Facebook group, you can watch the video here. Yoast SEO is just over five years old. They continually improve it. Recently, Yoast broke up the scores for SEO and readability. In the future, they plan on making the on-boarding process of Yoast SEO easier for new users. They may use gamification for this. 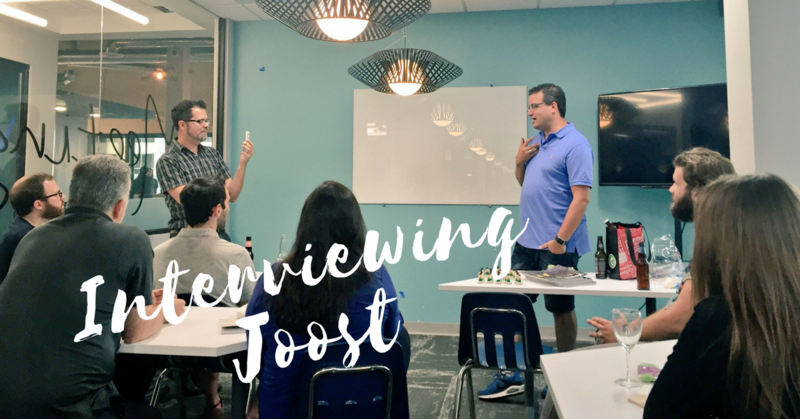 Jen Miller asked Joost why he created Yoast SEO. When do you know you made something that will last? With WordPress plugins — especially those intentionally created to solve a big problem — growth can be unexpected. You may even build something you didn’t anticipate being a huge success. So, how do you respond to that? As you grow humility is important — especially since arrogance often comes with the territory. “You need to be more humble,” Joost recounts as you scale and get more employees and users because “we need people nicer than I am.” That’s what works. He got in his first commit for WordPress Core in 2.4, about ten years ago. He combined his six SEO plugins into one: Yoast SEO. He sees people using WordCamps as a “professional marketing space.” However, even successful plugin shops like ours, he says, are small. He’d like to see more plugin development companies grow. Yoast SEO now has almost 50 employees. He said, “I hope the Community will grow a few more companies our size.” This allows companies to do more stuff within the WordPress space and have a bigger influence. For example, Yoast has employees specifically dedicated to Core Contribution. Why should you build a WordPress Plugin? Is it to make money? “What do you do when things blow up?” Matt asked. They test about 40 different integrations It would be impossible to test on every single instance because Yoast runs on almost every site. He isn’t happy if it breaks in his own code, but you can’t control everyone else. They require every line of code not only to be tested, but to be documented. He mentioned several times that documentation is the key to growth both as a plugin development company and as WordPress in general. He would like to encourage other plugin companies to test each other’s plugins. Whether you’re a first generation WordPress plugin developer or second or third (like us) you can learn from each other. Be open to that. “I’ve learned just as much from Pippin Williamson as he has from me,” Joost commented. Yoast SEO has over five million installs but not as many paying customers. In fact, he still has to remind people of their premium version. Joost plans on attending WordCamp US this year and WordCamp Europe in Paris next year. We are attending and we’d love to see you all there, too. They have big plans for their print magazine, too. So keep your eyes peeled. It was a great evening of friendship, fish tacos, community development, and shop talk about the plugin space in WordPress and its future. It’s a great example of how the Advanced WordPress community has grown and matured and the value it can bring to WordPress users everywhere.